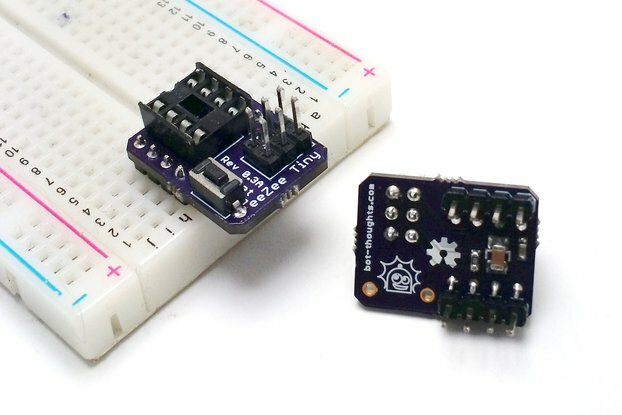 Useful and clever breadboard prototyping products that help you create faster. Competition-proven robot rover products. 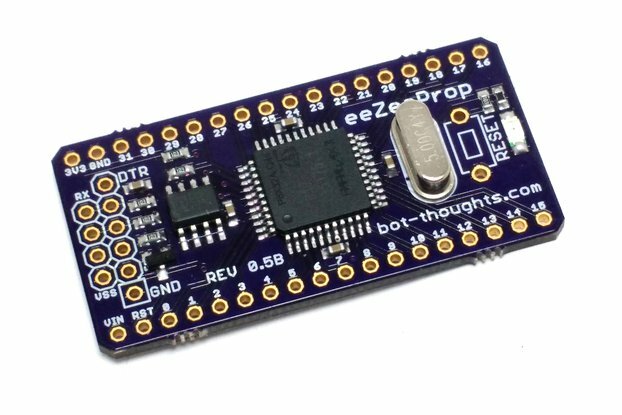 Hi, my name is Mike Shimniok, author of the Bot Thoughts robotics blog (www.bot-thoughts.com). I've been building electronic circuits since 1985 and robotics since 2007. I hold a BS in Computer Engineering, from University of Arizona and an MS in Systems Engineering, from The George Washington University. The board breaks out all of the pins; exactly what would be expected. The only issue that I had was that the JTAG port is close enough to the processor that it had some slight mechanical interference with the JTAG adapter. I took some sandpaper to the JTAG adapter's connector and now there is no interference. Easy to assemble and works well. 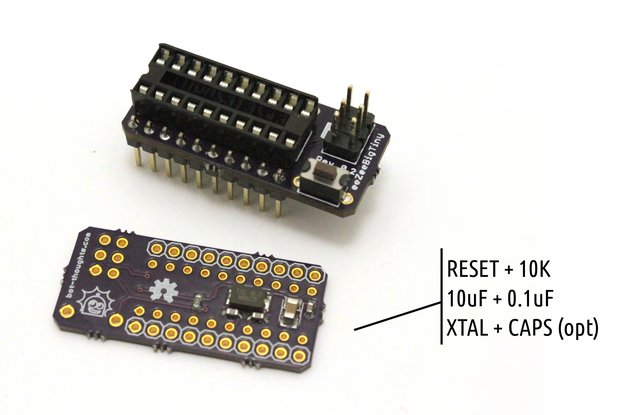 I got both the ATtiny 84 and the ATtiny85 development boards. Both work well. They were easy to assemble. However, if your eyes are on the older side, then you may want to get the assembled version (if available). By their nature, you are soldering some small components. 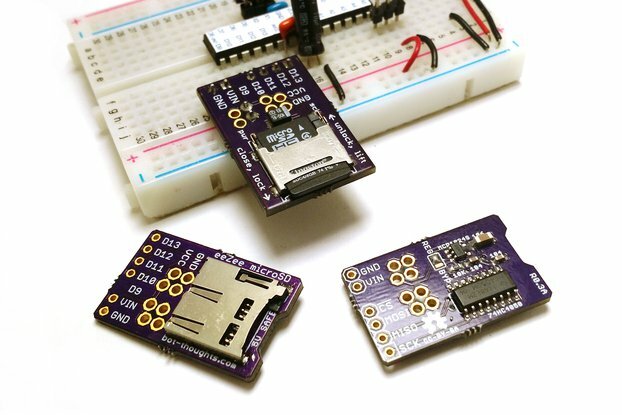 After identifying the pins on the SPI connector and connecting a ISP device (USBASP or Arduino as ISP), one can easily burn a "boot" loader or application sketch. I found with the raw devices that one has to "burn" a boot loader to ensure the Arduino ISP timing functions work properly. The Arduino IDE "burns" a generic boot loader to the raw ATtiny84 (or 85). 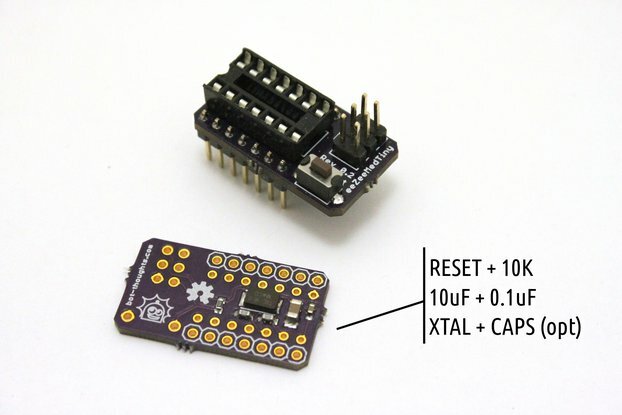 The Arduino IDE generic boot loader does not support programming by a serial or USB connection. But, it does work. With the generic boot loader, one needs to use a SPI connection. The raw devices have this SPI functionality built in. The documentation does cover assembling the board. It needs to have diagram showing the SPI pin locations. This is not a major problem, if one has Volt Ohm meter to to determine the pins. The item does what it should, and it's in a nice little package. Good stuff. Well worth the low price. This little strobe should be next to the turntable of every audiophile out there. I like the built-in strobe that came with the turntable, but it is hard to see unless your head is over the LP and you are looking straight down on it. With this strobe and even a paper cut-out disk, you will be able to see the accuracy of your turntable's speed clearly and easily. And the price only makes it an even sweeter deal.